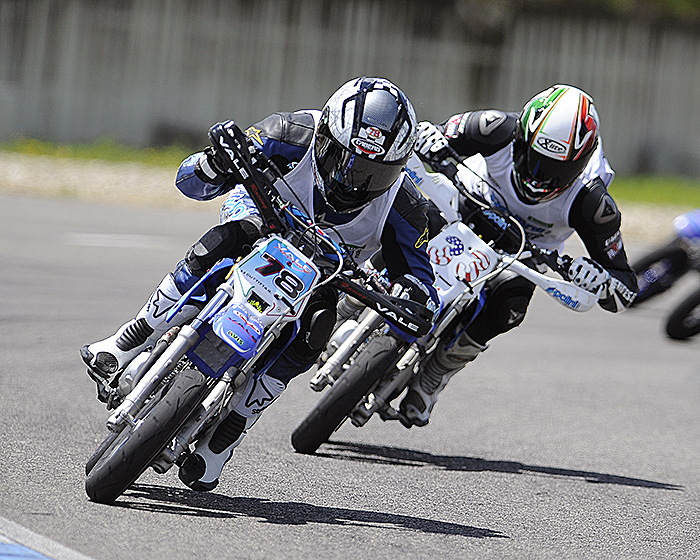 Minicross and Minimotard are the crown jewels of Polini Motori production. Polini Minicross-Minimotard XP 4T 125cc is a super compact bike, extraordinary handy, 20% smaller than the other bikes of the same range, safe while driving, aesthetically beautiful and functional as for its equipment. 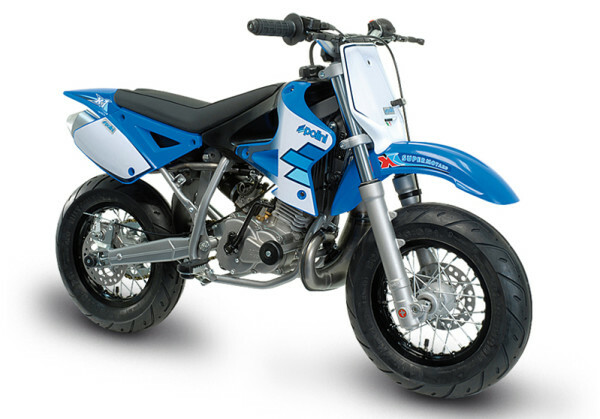 Polini Minicross-Minimotard XP 4T is a 125cc performing bike, but above all safe. 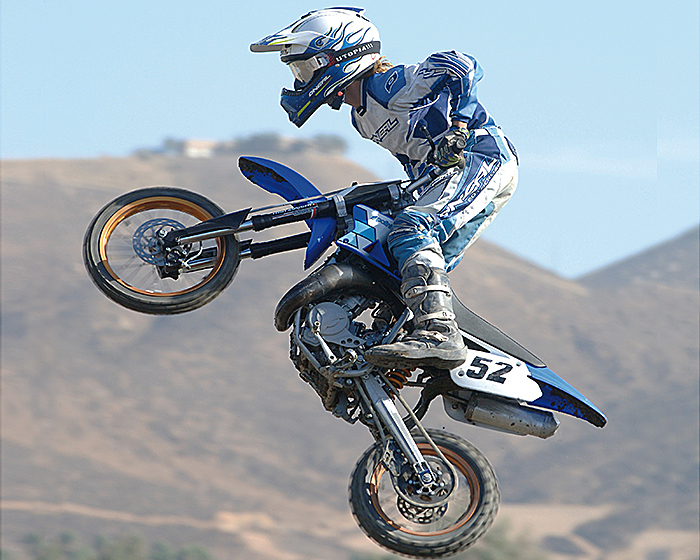 The modern 4 stroke engine of the XP 4T is replaced by a 125cc. engine with 4 transmission gears. The exhaust system is with aluminium end. 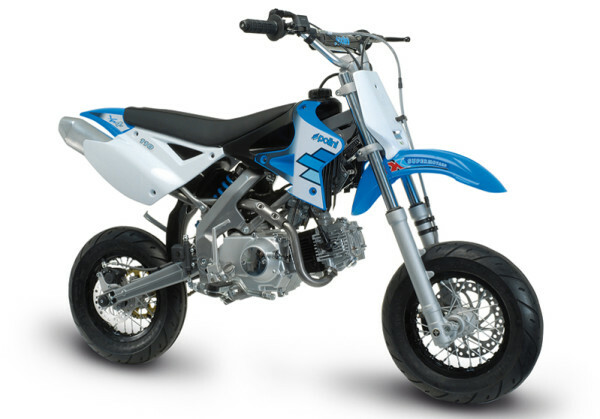 To dump the hit of the irregular ground, Polini Motori has fitted on the rear wheel a spring adjustable shock absorber that can be connected to the swing arm in two different positions in order to give one softer and one stiffer response. For the front one, instead, Polini Motori has chosen a strong tele-hydraulic fork with advance axle. The braking is very good and the stop distances are at the “top” for a 125 bike: two hydraulic disc brakes, 200mm for the front one and 150 mm on the rear wheels. Maximum attention has been given to the choice of the components that have been tested in extreme conditions for a long time. Daily and routine servicing is fast, thanks to the mechanical parts that are easy to reach, starting from the air box placed under the seat that gives you the possibility of cleaning or changing the sponge filter in a few seconds. The wheels complete the top-level panorama of the Polini Minicross-Minimotard XP 4T 125cc: 10 inches wheel for the Minimotard version, while 12” and 14” for the Minicross version. 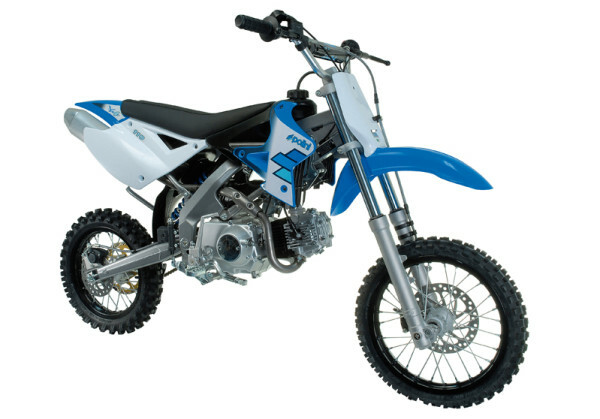 Polini Minimotard Air 70cc and Racing H2O 70cc are real mini bikes with sporting DNA, manufactured with parts of very high quality. Their features grant a better feeling in terms of driving conditions, maximum comfort, and easiness to drive. Polini 2T 70cc engine is compact and small. The power output can be exploited at the best above all when accelerating. The high-performance cylinder has a reed intake system. The head is new: it has been designed to increase the squish that has increased the compression ratio to 14:1. Expansion exhaust system with aluminium final silencer. Stiff front and rear suspension. The frame of the Polini Minimotard Air 70cc and Racing H2O 70cc distinguishes itself to be detachable in the rear part. The main frame structure is made of single-beams, split at the cylinder height. It is made of high tensile steel tubes. The resistance to torsional stresses has been improved to guarantee at the same time the necessary elasticity. The swing-arm, realized in high tensile steel too, has got two arms of trapezoidal section for a better resistance to every stress, optimizing traction and stability of the back-wheel. The frame has a lower barycentre, improving the weights distribution. These features allow great improvements, appreciable on all the tracks, offering better handling, better balance in bending. The front mechanical braking system has Ø 200 mm brake disc, while the rear one has a diameter Ø 150 mm. The rims are in light alloy. The wheel hubs are die-cast in light alloy. Both the models have 10 inches wheels.